Alan Silvestri To Score "Ready Player One." 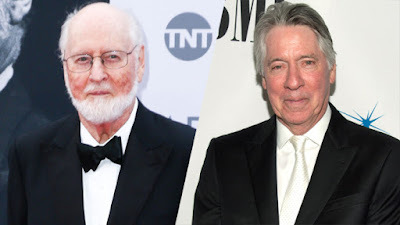 John Williams To Score "The Papers"
John Williams will score "The Papers"
Alan SIlvestri to score "Ready Player One"
Variety have got an exclusive and it's big news. John Williams will score Spielberg's political drama "The Papers" which will hit cinema screens at the end of the year. The other movie that Spielberg is doing, "Ready Player One," well the music duties will fall to the great Alan Silvestri. This will be only the third time in Spielberg's theatrical movie history where John Wiliams hasn't been the composer. The reason of course is that post-production for both movies is happening at the same time.